There is a card game called Sentinels of the Multiverse that I absolutely adore. 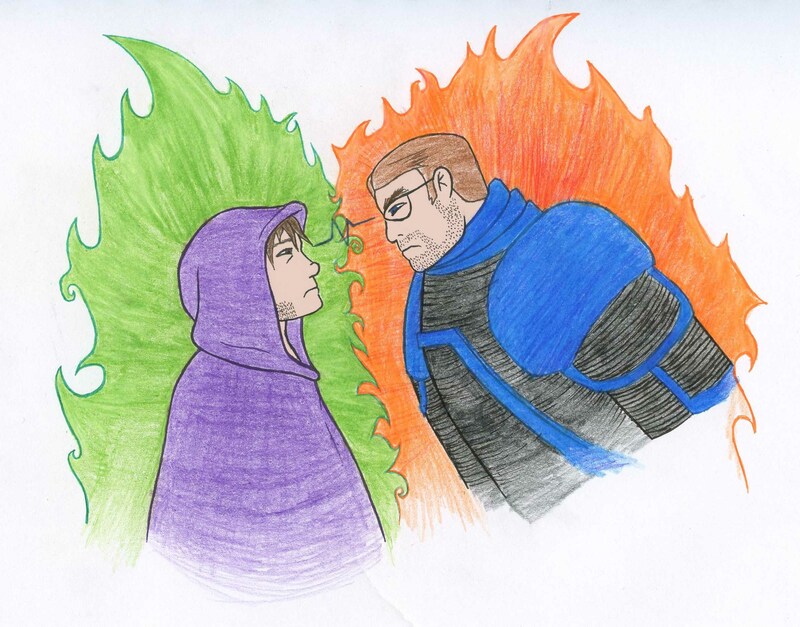 In this card game you can team up with family and friends as superheroes to take down the bad guy. These superheroes each have an unique power to control. This is not what hooked me to the game though. The background stories behind the cardgame is what did the trick. A whole Multiverse is waiting on their website for you to explore! Each hero has a bio as to why they got into crime-fighting on GreaterthanGames’ website. Same goes for the villians! Sorry, got distracted. The whole reason for this post is that I really love this game. With that being said, it might be no surprise to you that this week I drew some fanart of this precious series. 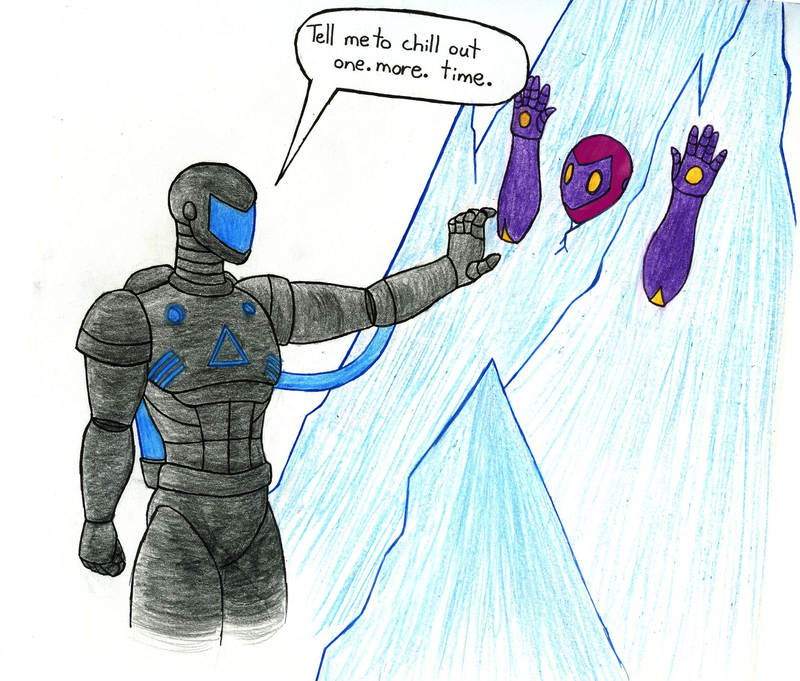 Absolute Zero got tired of Guise’s cool jokes. Two minions of some pretty nasty villians get into a staring contest. Do you have a game night with friends/family? Nice art! My favorite game in the whole multiverse. After three plus years I still can’t stop bugging people to play it with me. Thank you! 😀 Mine too! I would say I have a slight addiction to this game. My friends and I play it almost every Friday. That would be nice. I wish you luck. 🙂 Tactics is really fun. It’s a blast playing as the villains of the multiverse.